SAN DIEGO, April 9, 2018- San Diego-based, third party hotel management group, RAR Hospitality, is pleased to expand its executive and operations teams with six key appointments. 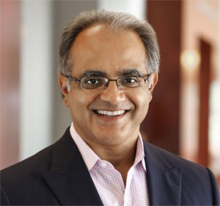 Vikram Sood joined the RAR team in October of 2017 as Senior Vice President of Operations, where he oversees all branded and boutique properties for the hotel management company and is responsible for hotel owner relations and hotel performance. In addition to his current position with RAR, Sood is the Managing Director at NuPala Hospitality Development in San Diego, where he develops and operates full-service hotels and resorts that have earned prestigious international industry awards. Sood is a graduate of University of British Columbia and the University of Massachusetts and has held many General Manager positions in the industry throughout his career at properties such as La Valencia Hotel in La Jolla, The Grand Del Mar, Sanctuary at Kiawah Island Golf Resort in Hawaii, and Cape Rey Carlsbad. Apart from his management experience, Sood also held the role of Senior Operations Leader at Ritz-Carlton Kapalua in Hawaii and served senior leaderships positions for Four Seasons Hotels and Resorts in Boston, Toronto, Santa Barbara, Calif., and Hualalai, Hawaii. With extensive experience opening and managing upscale and luxury resorts and hotels, Sood possesses in-depth knowledge of the hospitality industry, hotel operations, and revenue management. Frank Bewley joined the RAR team in December of 2017 as Corporate Director of Revenue Optimization and Marketing, and brings over 20 years of experience in hospitality with over 10 years of revenue management expertise. He is now responsible for strategic deployment and distribution as well as organizational marketing management for RAR. An alumni of the University of Arizona, Bewley has held senior leadership roles in group sales, marketing, operations, and revenue management at both branded and independent hotels. Dieter Hissin joined the RAR team in January of 2018 as the General Manager for one of the hotel management firm’s boutique properties, The Lafayette Hotel, Swim Club & Bungalows, where he manages all aspects of the hotel at an operational and fiscal level. Hissin attended Heidelberg Hotel Management School in Germany, and is now an established operations professional with extensive experience in luxury hospitality, hotel management, and revenue management. Prior to his current position with RAR, Hissin served as General Manager at Balboa Bay Resort and held a pivotal role as General manager of Newport Beach’s Island Hotel during its $25 million renovation. 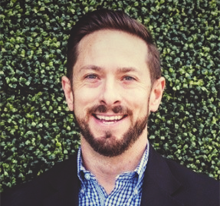 Andrew Ladd joined the RAR team in November of 2017 as Director of Sales and Marketing at The Lafayette Hotel, Swim Club & Bungalows and is responsible for maximizing hotel revenue through group and event sales, marketing, and revenue management. In addition to working his way up from a Bell Desk Manager to a National Sales Manager during his 11 years with Peppermill Resort Spa Casino in Reno, Nev., Ladd most recently spent four years with a 310- room boutique hotel in Reno, Nev. called Whitney Peak Hotel as the Director of Sales. Having completed education at University of Nevada, University of Phoenix, and Cornell University, Ladd now leads a team of sales managers and support staff in marketing and selling the hotel on a regional and national level. Colin Ross joined the RAR team in September of 2017 as General Manager at Carlsbad by the Sea, bringing with him more than 25 years of industry experience. Ross has previously held positions such as Sales Manager at LEGOLAND California, General Manager at TurnKey Vacation Rentals, and Director of Sales at Residence Inn by Marriott. His current duties as General Manager at Carlsbad by the Sea include overseeing all aspects of operations, day-to-day staff management, ensuring guest satisfaction, and providing leadership and strategic planning to all departments within the hotel. Ross studied economics at the University of Utah and also serves as ambassador for the the re-branding of this iconic Carlsbad hotel. 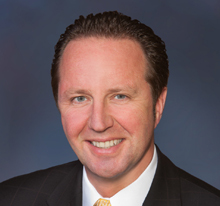 Michael Flickinger joined the RAR team in December of 2017 as General Manager at Radisson Hotel San Diego-Rancho Bernardo, where his duties include operations and sales. He comes from Maderas Golf Club where he was a General Manager and served as the Area Food and Beverage Director for for La Valencia Hotel in La Jolla and Rancho Valencia Resort & Spa in Rancho Santa Fe. RAR Hospitality currently manages 20 hotel properties in the United States and has over 650 employees. RAR Hospitality is located at 10840 Thornmint Road #110, San Diego. For more information, please visit www.RARHospitality.com or call (858) 239-1800. RAR Hospitality offers the full spectrum of hospitality management services to hotel and resort owners, developers, lenders, and investors. Founded by Bob Rauch, the “Hotel Guru,” in 1990, RAR Hospitality is headquartered in San Diego and has a hotel presence in Southern California, Arizona, and Colorado. RAR’s hotel partners include boutique, branded, and independent properties. With more than two decades of experience delivering expert services and oversight to hoteliers, developers, and hospitality finance professionals, RAR is one of the industry’s most trusted and respected names. For more information, visit www.RARHospitality.com.